Unless you’re a Michelin-star Chef, Valentine’s Day probably isn’t the occasion to be ambitious in the kitchen. Attempting your first soufflé under pressure is sure to leave you with egg on your face, pun intended. Instead, I recommend choosing simple, food-assembly recipes that you are confident in being able to complete, even if your mind wanders off a little…. Invoke your inner love god or goddess by adding a dash of the aphrodisiac ingredient, Strawberry, to your Valentine’s Day meal with this quick, simple, make-in-advance Strawberry Cheesecake Jar. Pop them in your picnic basket, grab the bubbly and it will be a Valentine’s Day to remember! Strawberries have long been touted as one of Mother Nature’s best aphrodisiacs. Known, as the symbol of Venus, the goddess of love, strawberries have been portrayed as a symbol of love and seduction for centuries. They boost energy by providing the essential vitamins and minerals needed to keep fires burning, long into the night. 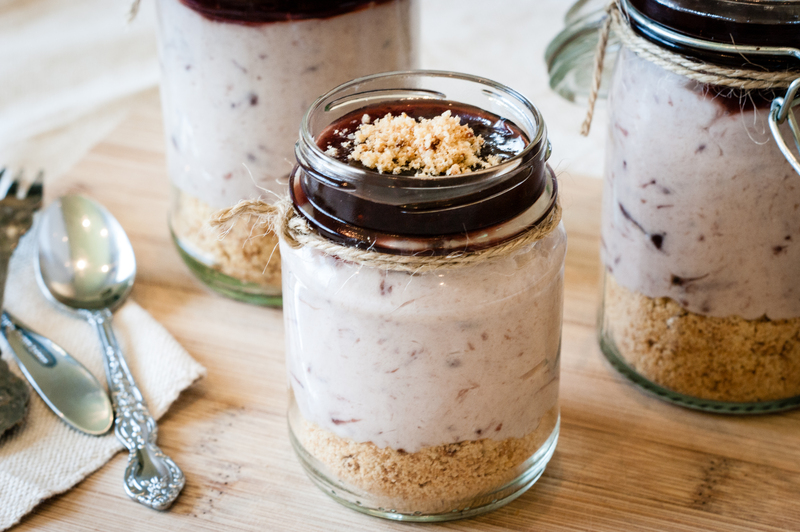 These Strawberry Cheesecake Jars sure to set hearts a blaze this Valentine’s Day with a White Chocolate and Macadamia Nut crumble base, topped with Strawberry Cheesecake mix and finished with a velvety layer of Anathoth Farm Strawberry Jam. As, French folklore would have it, if you share strawberries with your Valentine you will soon fall in love with one another. So, you had better grab two spoons! Crumble cookies into a small mixing bowl to resemble a fine crumb and set aside. Add ½ a pottle of Anathoth Farm Strawberry Jam, Cream Cheese and Mascarpone into a large mixing bowl; stir until well combined and smooth. 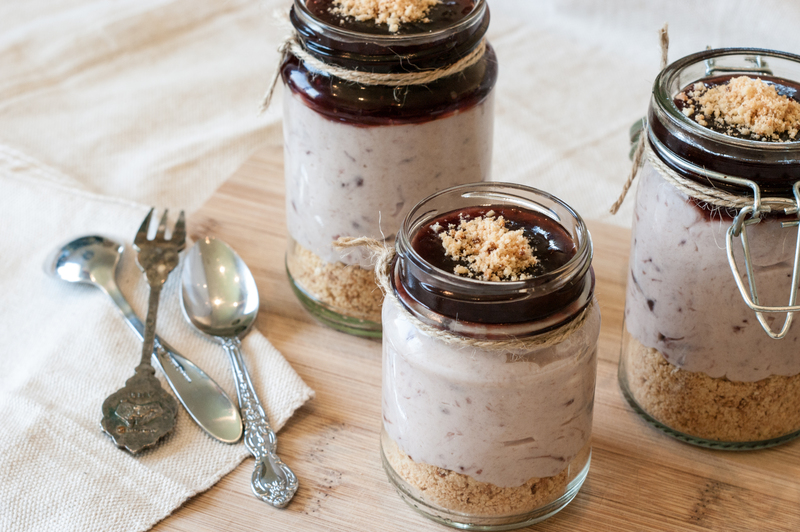 Evenly distribute the cookie crumble among serving jars, setting aside a small amount to top each cheesecake with, top with strawberry cheese cake mix, add a layer of Anathoth Farm Strawberry Jam, top with cookie crumble and serve. Thank you! Yes the no-bake makes them so easy! Not to mention there is only 4 ingredients! Fiesta Friday sounds great – I am definitely in. YAY! Are you on Instagram? I can’t find you..
No, unfortunately I don’t even know how instagram works, I know, I’m so behind! But I recently opened a FB page. And I’m on pinterest, too. Let’s find each other. I’m excited you’re on board Fiesta Friday! I’ll check it out. Thanks for the like, I’ll be looking for you, but I’ve been having problems with FB. Such a rookie! Thank you Melissa – you should try them. Easy and delicious!